I've never heard of these before but am definitely interested in checking them out now. 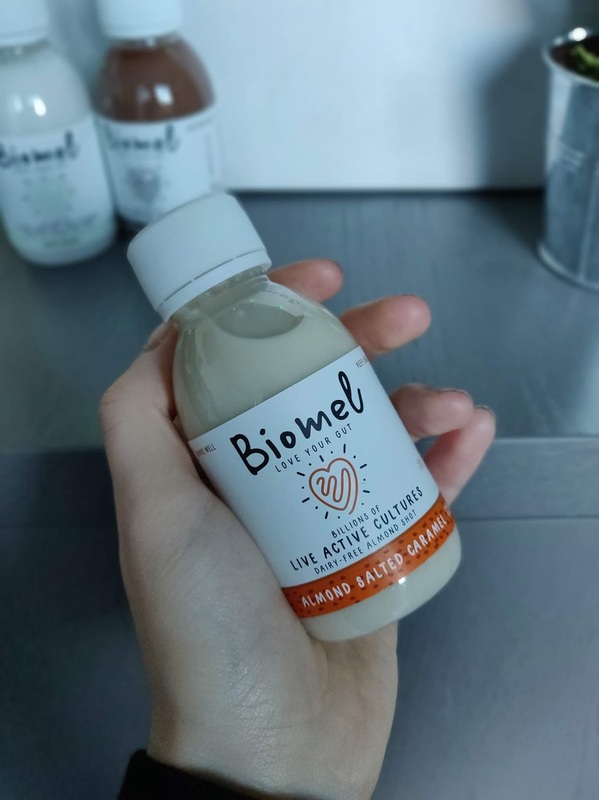 Love that they are completely plant-based and the flavours sound yummy! Definitely going to keep my eyes open for these - 11am at work is the worst time ever for hunger, I'm exactly the same, aha! Great review! Oooh these sound really nice! I'd definitely be up for trying them. 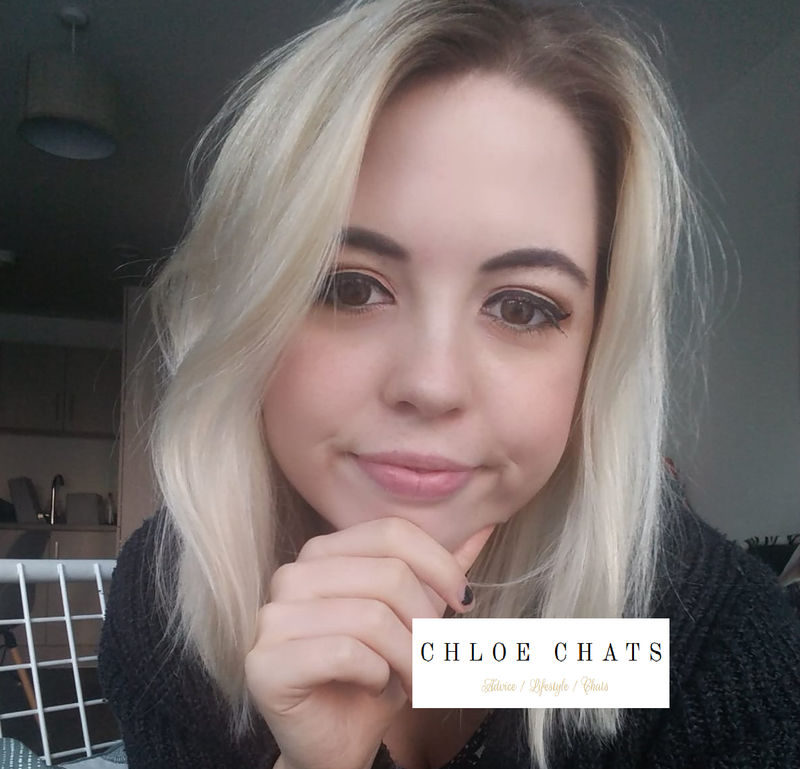 Gut health is so important and there's definitely more I could be doing for it. I've never heard of this brand before but they sound really yummy, I may have to get some myself! Think the chocolate one would be my favourite too! So amazing that they're vegan! And I normally dont love coconut flavoured things but I really wanna try the chocolate and salted caramel one. I love having things like this as snacks, better than eating all the chocolate that I do. And the packaging sounds so cool!!! It is exciting that you got to partner with Biomel! IT is cool that you can drink the product and gain a lot of benefits from it. This reminds me of kombucha with the good bacterias. 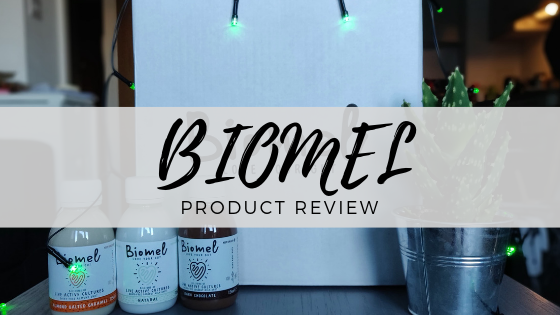 Glad you loved Biomel! If they're in the US, I would definitely give it a try. I like that they're super affordable as well. 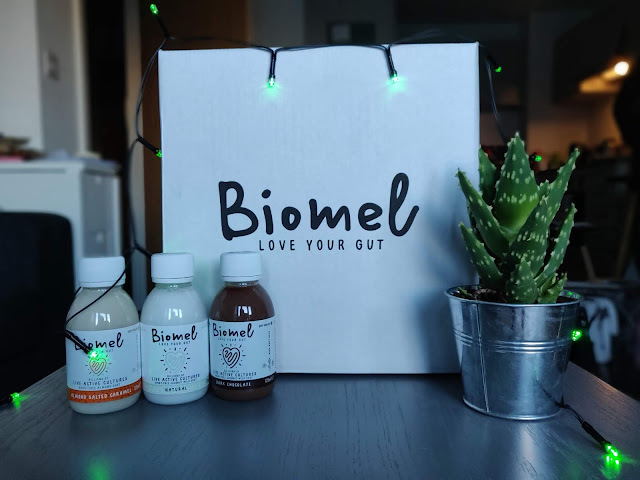 I've actually never heard of Biomel before but I'm a huge kombucha drinker as well as supplementing my diet with probiotics! I'll have to look more into them! These sound absolutely incredible, I might have to give them a try! Especially the dark chocolate and salted caramel ones! I've actually never heard of these but I'm happy to hear they're dairy free! I've been looking for something to help my gut in hope of easing my IBS symptoms - but I also have a dairy allergy. 😅 Thanks for sharing. I was looking for something to take in form of probiotics through food besides yogurt. Probiotics are so good for the gut and actually assist in keeping your skin clear from acne. 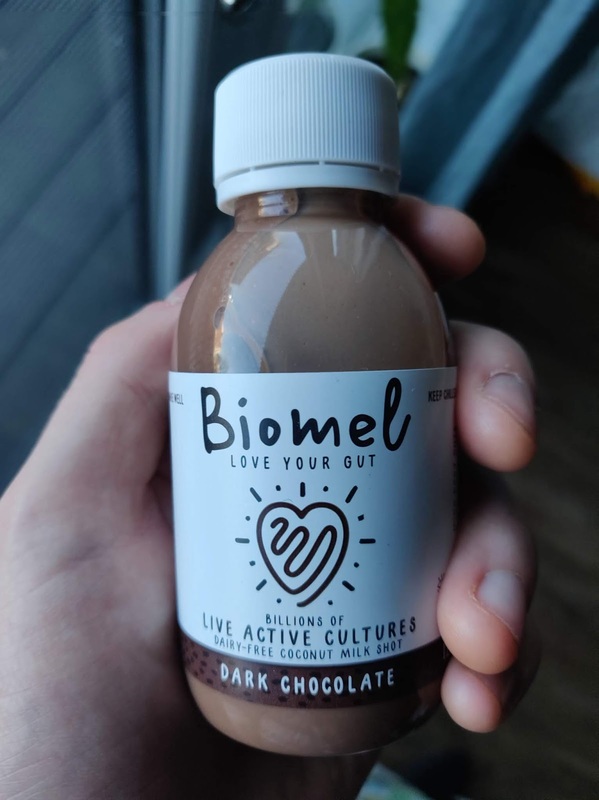 I hope Biomel ships to the US lol!